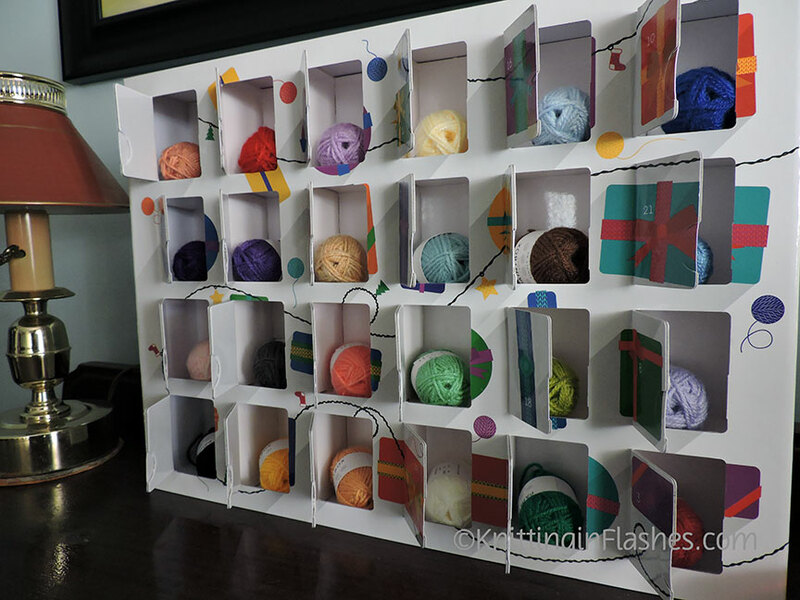 The completed opened yarn calendar. Now what do I make with all these yummy colors??? This entry was posted in Christmas, holiday, knitting, yarn and tagged Christmas, knit, knitting, yarn by Patti_is_knittinginflashes. Bookmark the permalink. Well, I think you might use some of the colors as trim of an item…..or some small striped projects…Mittens,headband earwarmers,….I’m sure you will think of something wonderful and exciting!